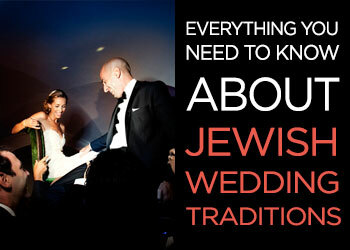 What’s the best thing about a Jewish wedding? 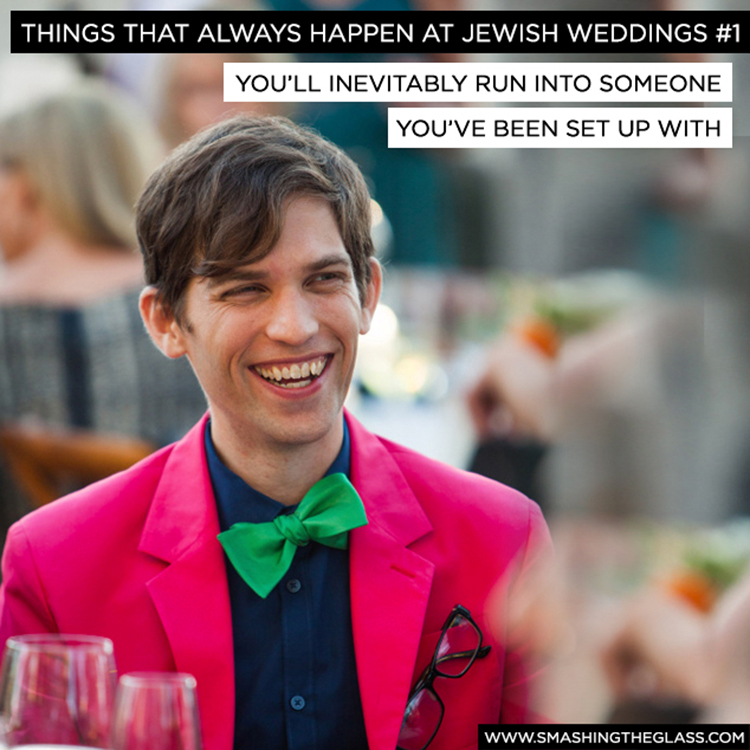 We’re all here for the same reason: we love Jewish weddings – and at STG, it goes without saying that our family of Smashing Suppliers are no exception. 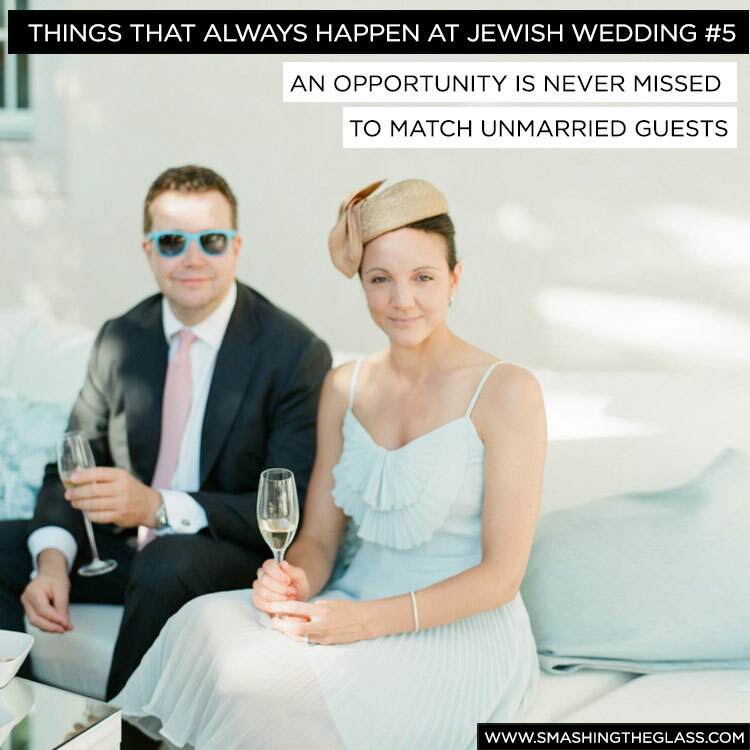 But what is it about a Jewish wedding that makes everyone want to be a part of the tradition, whether they’re Jewish or not? 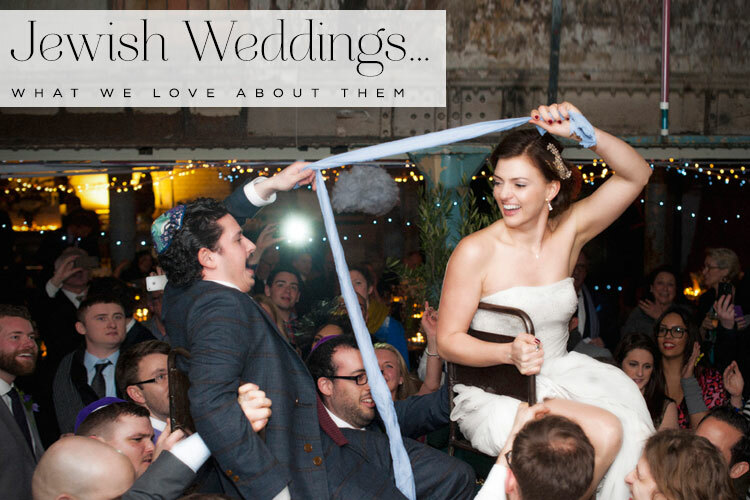 We love the Tisch – it’s a fantastic moment, a totally kosher excuse for a last-second boisterous boys’ club for the groom and his crew to knock back some whiskey and get pumped up for the occasion. You can read more about the Tisch here. We had a first-look tradition before it was cool. That’s right, the Badeken is that touching moment when the bride and groom lock eyes for the first time before the ceremony. 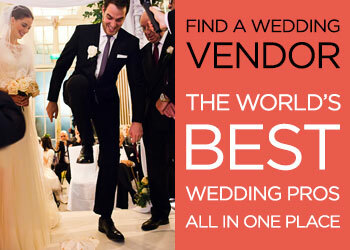 It’s moving, intimate and special – and, of course, our suppliers adore it. 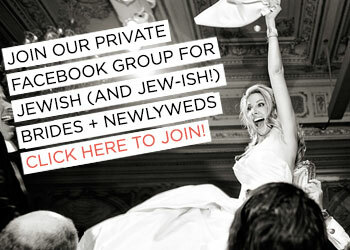 Shana Tova to all of you! I wanted to take this opportunity to wish you a happy, prosperous year ahead full of joy, love and only good times. 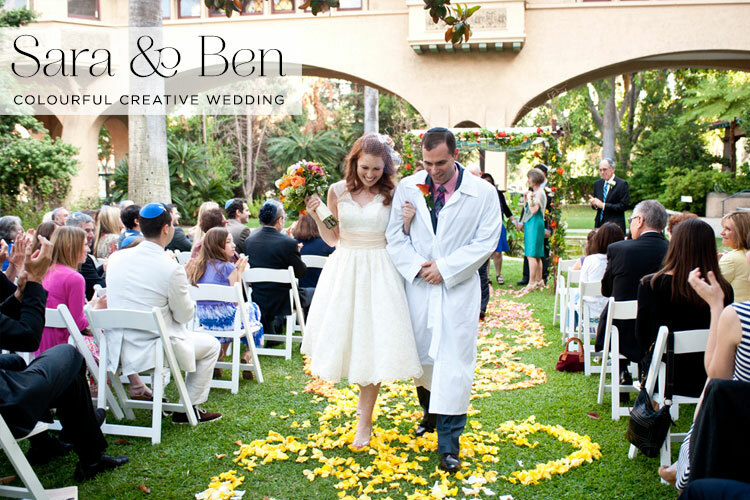 With Rosh Hashana fast approaching I wanted to repost this totally exquisite wedding. It has so many beautiful details and the theme of Rosh Hashana is wonderfully integrated into the menu featuring the holiday symbols of pomegranates, figs and apples. 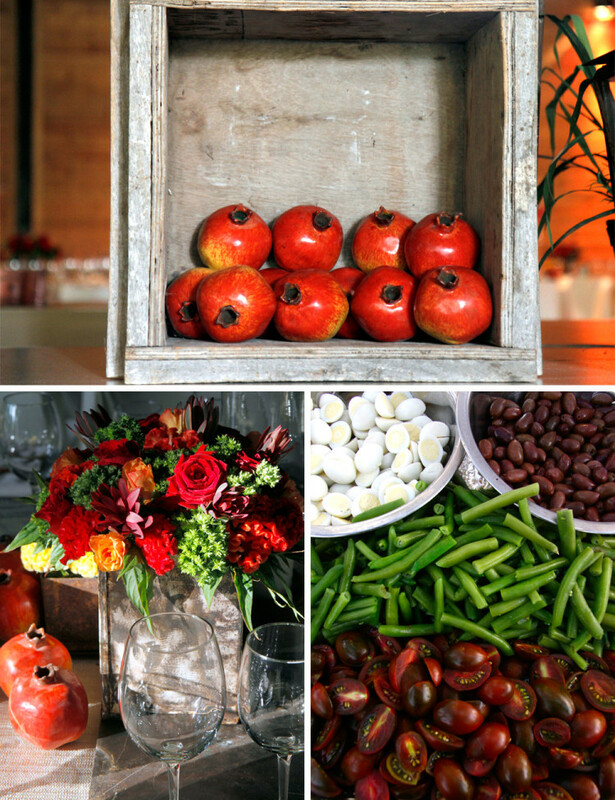 The vibrant colour palette of red, orange and green, the jar of honey favours, and the divine-sounding pomegranate mojito reception cocktails all add up to a very well thought-through theme. 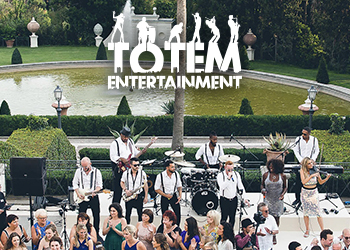 There were lots of personal touches and a combination of Adi and Amir’s old and new memories, meticulously organised by their wedding planner, Osnat Eldar. 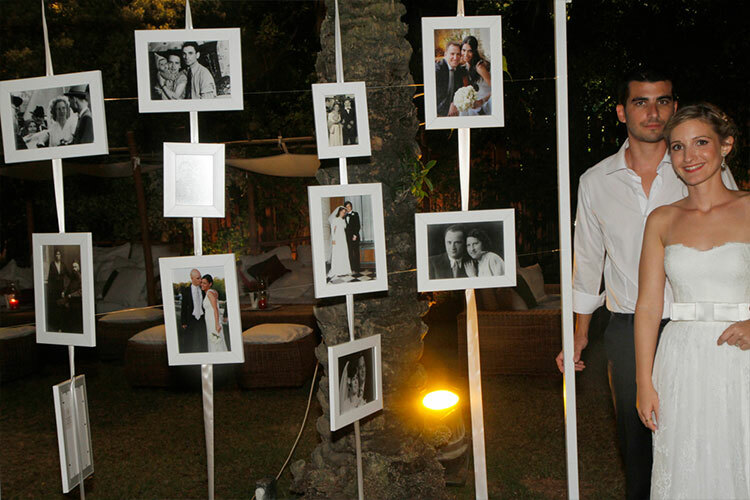 She asked Adi’s close family to collect photos from their own wedding days in order to create an ‘all-generations’ photo wall. I love that idea! 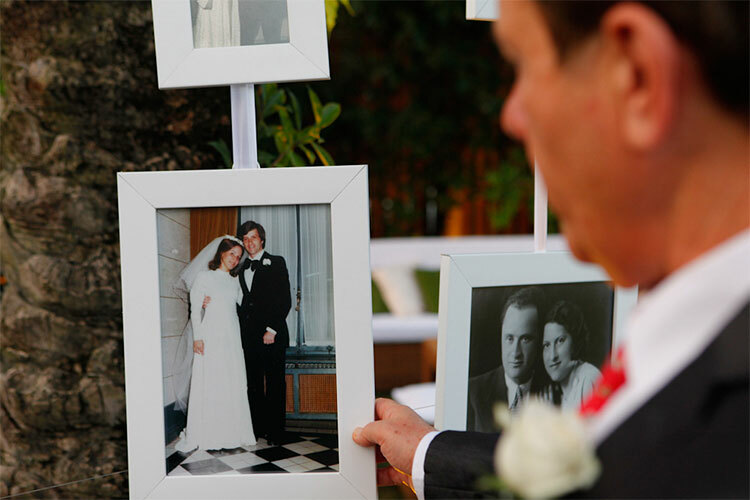 So simple and such a lovely way of really making the wedding a family occasion and also remembering those that are no longer with us. Thank you to Adi and Amir for sharing their very special Israeli day with us, and to Osnat Eldar, their talented wedding planner who alerted me to their wedding. 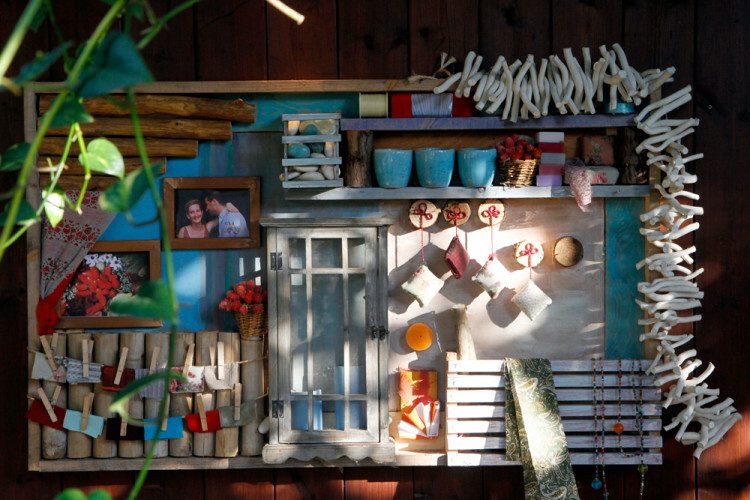 Photography today is by Lihee Avidan. 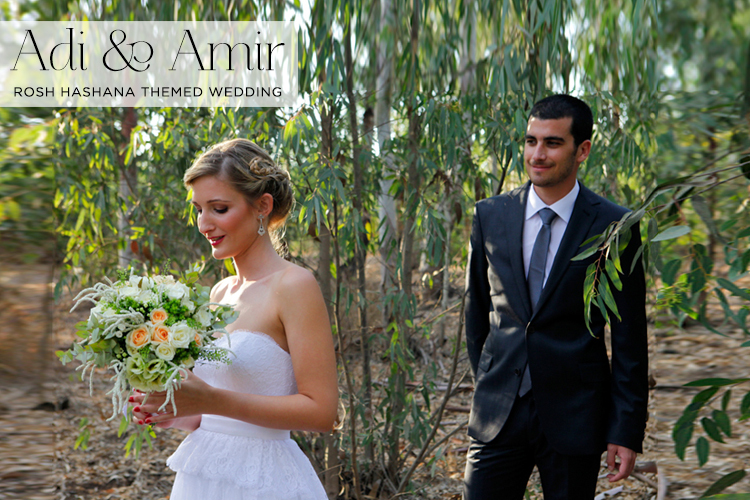 Adi, the Bride: we decided to get married in Sadot Beit Yehoshua, as we loved its rural feel, and it’s location. It has a calm and relaxing atmosphere which reflects us as a couple, and it’s in the centre of Israel right between Tel Aviv and Haifa. 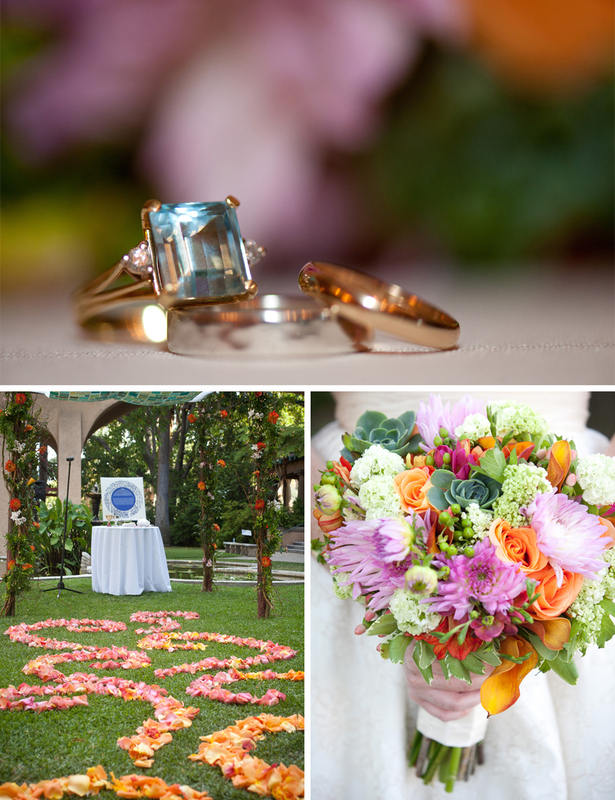 As the wedding fell just before Rosh Hashana, the Jewish New Year, we combined the holiday spirit with colours from the late-summer / autumn season. 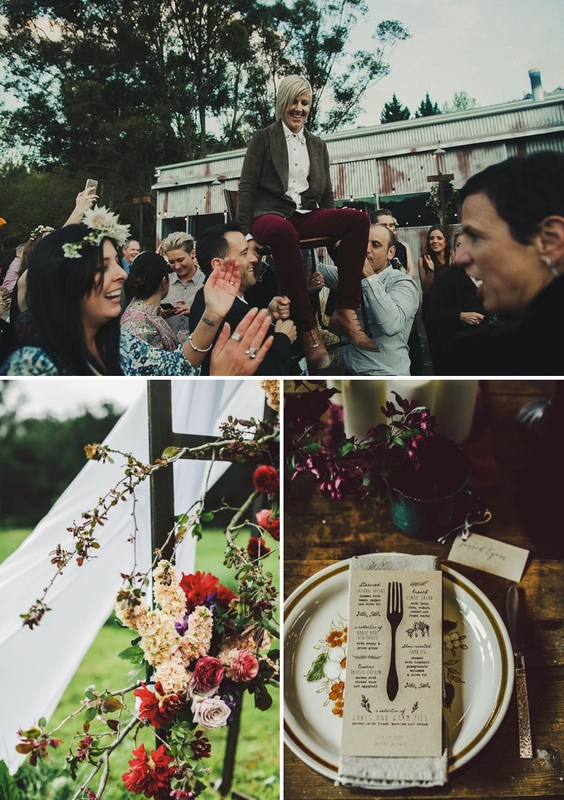 Paul Assenheim, our wonderful caterer prepared a menu based on Rosh Hashana featuring fig and pomegranate salads, fillet mignon in apple chutney, and as a final surprise, caramelised apples on sticks! We also had the most delicious pomegranate mojitos as our welcome cocktail, and used lots of real apples, grapes and pomegranates to decorate the whole venue. Today’s wedding reaches new heights on the wedding spectrum and I am entirely and whole-heartedly in love with every little bit of it. The attention to detail and the amount of creativity is phenomenal. I hardly know what to talk about first because it’s such a total feast for the eyes, but what I love the most is that Lara and Cass’s union remains as the focal point throughout. 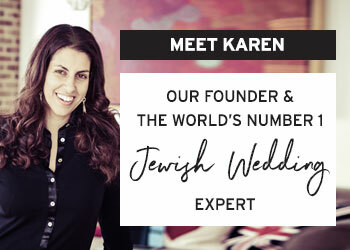 On the other side of the lens for a change, Lara is one of the world’s most renowned creative wedding photographers, and indeed I have featured her work on Smashing The Glass several times. 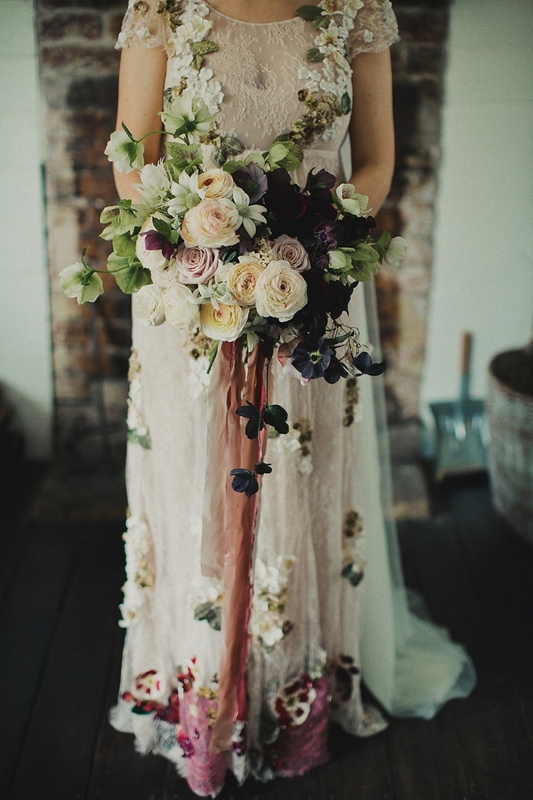 She’s a girl after my own heart wearing not one, not two, but THREE wedding gowns, accessorised by a simply astonishing bouquet by Mikarla Bauer + Jardine Botanics — truly one of the best I’ve ever seen. So much originality permeates Lara and Cass’s day from choosing to get ready and walk down the aisle together, to all sorts of gorgeous DIY like a ‘Guess Who’ game handmade by Cass using their family members, to an idea that I’ve never seen before: a flower crown station for the guests to accessorise with before the ceremony so that when the couple walked down the aisle they saw all their guests with flowers in their hair. Love love LOVE! 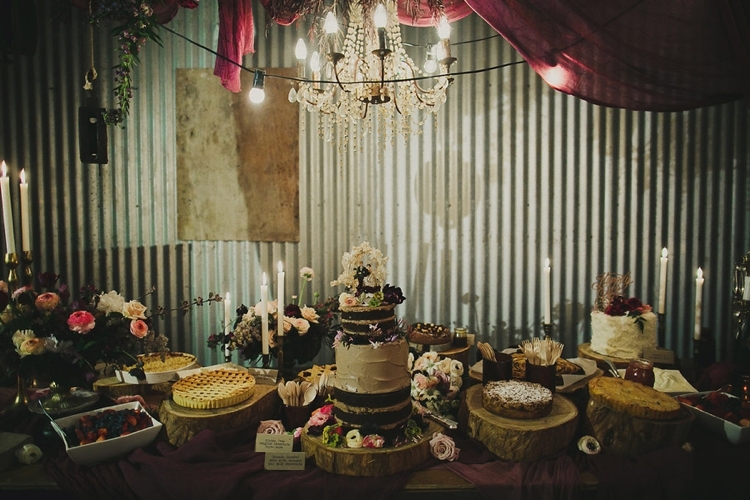 Sheree from She Designs Events blended their two very different loves into one creative theme which works brilliantly even though it combines everything from Country & Western to Vintage Romance! 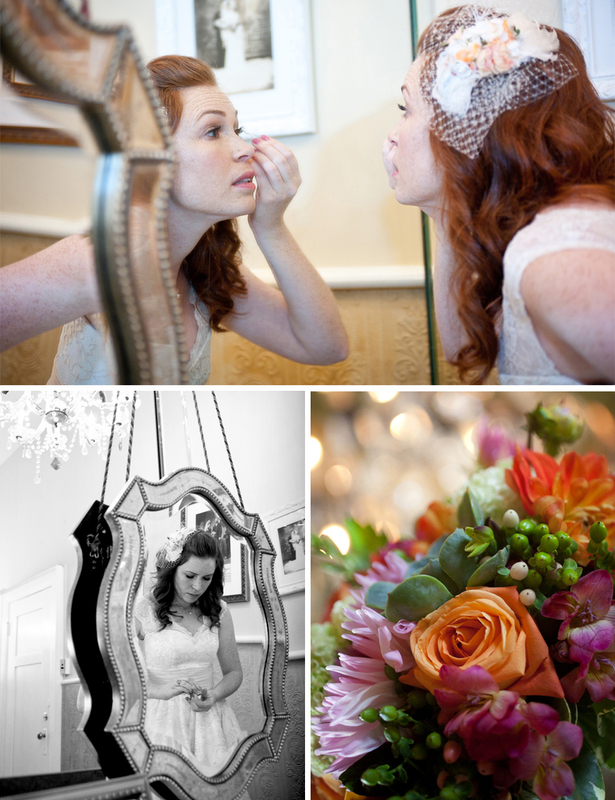 I love the idea of not compromising to one theme but rather merging both your loves. And there are so many… You truly have to savour every one of Dan O’Day‘s astonishing images to take it all in. Oh, and there is a wonderful film by Light Noise Films at the end which you just must watch. What a total treat! 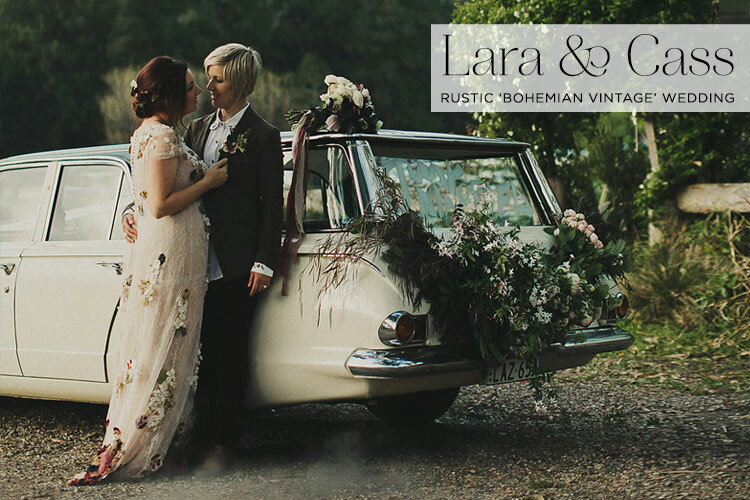 Lara: I think I completely underestimated how time consuming planning an entire wedding from start to finish can be, never mind running a business at the same time. Cass was great as she really let me take full control of everything but was always there when I needed her to bounce ideas with and make final decisions or to get things done. We had spread sheets and documentation for everything — its really quite overwhelming how many things / vendors there are to keep track of and all the little details to organise — but well worth all the effort in the end.